The photographer and advertising manager Igor Ahvenlahti was a faithful and long-time employee of the Finnish State Railways, Valtion rautatiet (VR). From 1957 to 1983 he acted as the advertising manager of the company. Igor Ahvenlahti had a degree in economics and before being employed by VR, he worked for, among other companies, Oy Algol Ab and Foto Nyblin Oy. 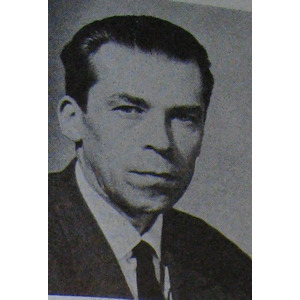 During the Olympic Games in 1952 and at other large-scale sports events, Ahvenlahti worked as a commentator. Often his notable language skills also enabled him to work as an interpreter. He was a native speaker of Swedish, Finnish and Russian and he also spoke English, German, French and Danish. During his many years as advertising manager at VR, Igor Ahvenlahti became known for his whole-hearted commitment to the entire advertising process, from the very conception of an idea until the advertisement was ready for publishing. 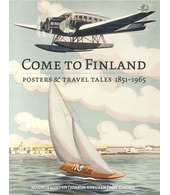 Ahvenlahti was also a skilled photographer and he took many of the photos that were used in the advertisements for VR. His son, Olli Ahvenlahti, remembers many childhood summers when he helped his father to carry his photography equipment all the way up onto rooftops or mountain peaks, where Igor Ahvenlahti could get the best possible perspective for his shots.